Sometimes, even reality TV has the potential to bring people together. Sometimes, reality TV competitions can lead to actual, real-life love and this is exactly what happened with The Bachelor’s Sean Lowe and Catherine Guidici. As if we needed another reason to believe in televised romance. Lowe and Guidici met in 2012, while filming season 17 of The Bachelor. The couple tied the knot on Sunday, January 26 at the Four Seasons Resort —The Biltmore Santa Barbara, and, fittingly, the entire ceremony aired live on ABC. The scene was also fitting of the couple’s super romantic, super public relationship, with with flowers by Mark's Garden, ivory adobe and Spanish Colonial archways and loads more glamorous (and probably very expensive. The bride looked beautiful, smiling from ear to ear and wearing a a Monique Lhuillier gown, E! News reports And because there’s no family like a TV family, the wedding was attended by numerous Bachelor and Bachelorette alums. Daniella McBride, Trista and Ryan Sutter, Jef Holm, Ali Fedotowsky, JP Rosenbaum and Ashley Herbert were among the guests, as well as Lisa Vanderpump and even her dog Giggy. Sean Lowe and Catherine Giudici, from ABC's 'The Bachelor', married in front of million of people as the television network broadcast the ceremony live on Sunday (Jan 26th). The former 'Bachelor' star Sean Lowe cannot use that name any longer. Millions of viewers watched Mr Lowe search for love during season 17 of the ABC reality show and now they watched the 30 year-old marry that love. Lowe and Catherine Giudici, who first met on 'The Bachelor', brought their big day to the small screen as ABC aired the ceremony live on Sunday (Jan 26th), from the Four Seasons Resort-The Biltmore Santa Barbara. 'The Bachelor' stars Sean Lowe and Catherine Giudici announced their married will be aired on ABC next January. the bachelor stars Sean Lowe and Catherine Giudici announced they will be tying the knot on TV. The couple appeared on Good Morning America yesterday (14th October) said they had set their wedding date for January 26th 2014 when their nuptials would be broadcast on ABC. Sean Lowe proposed to Catherine Giudici on the show's season 17 finale. 29-year-old Lowe explained the reasons for having their wedding broadcast. He hoped "everything goes smoothly" on the day and that "The Bachelor is such a cool experience because people at home feel like they know us and they're invested in our relationship. We have no problem sharing the actual wedding with everyone who has been with us so far." The news has broken that we have a DWTS Idol Contestant in the making. TMZ have discovered the identity of four of this year’s Dancing With The Stars contestants and one of them is a former American Idol hopeful. 26 year-old Pickler was a contestant on the fifth season of American Idol and has subsequently gone on to sell over 800,000 copies of her debut album Small Town Girl. Clearly, Pickler’s career needs a little pick-me up, or maybe she just misses the pressure of a TV reality show contest, because she’s now signed up for the dancing program, according to sources close to the show, in a bid to win the nation’s hearts once more. The information that was leaked to TMZ, ahead of Tuesday’s official announcement (February 26, 2013), also reveals that another country music star, Wynonna Judd, will be taking to the boards, as well. The 2012 Olympic gold medal-winning gymnast Aly Raisman is also rumoured to be amongst the cast members due to be announced tomorrow. And Sean Lowe, former star of The Bachelor will be there to ruffle a few feathers, too. 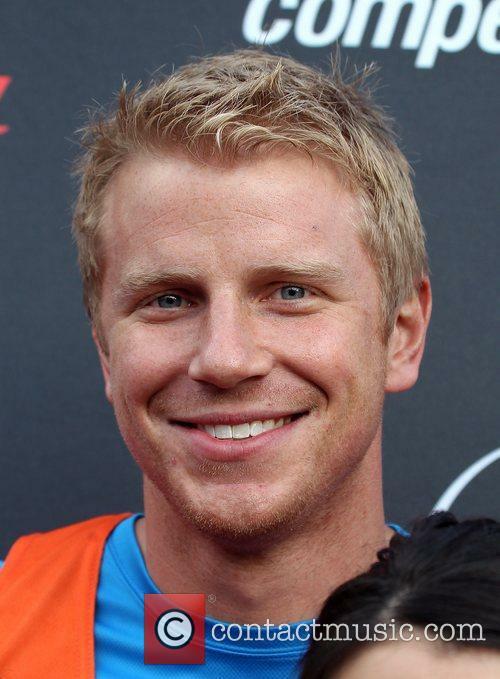 New Bachelor 'Named' As Sean Lowe: Who Is He? The new Bachelor has been named as Bachelorette finalist Sean Lowe who is the lucky man that the ladies in the competition will be vying for. E! Online had reported last week that the deal to sign the blue-eyed blonde-haired hunk was "pretty much done", and it's now been reported by a source close to the production team that "Sean is our choice. I think we finally got everyone to sign off." Lowes was a popular man on the Bachelorette last season, managing to make the final three of the competition and at one point looking like he might well manage to snag single mom Emily Maynard, only to be given the boot the week before the final, with Maynard instead opting to go with Utah entrepreneur Jef Holm. However, he's now guaranteed to get a result now that he's the man who'll be doing the picking, and it comes as no real great surprise. 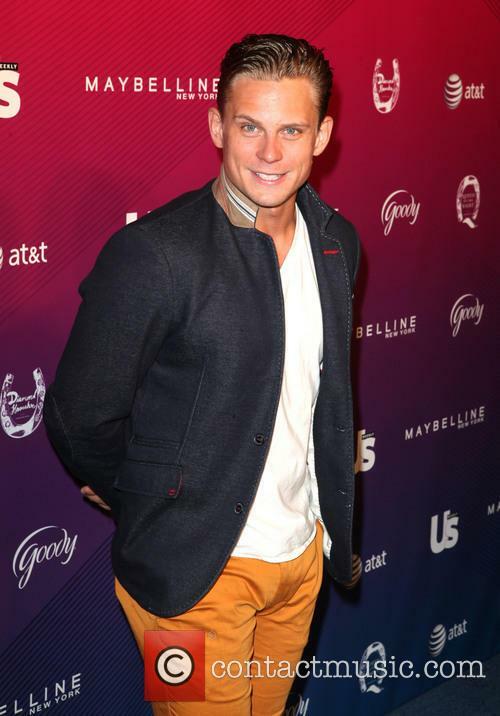 It's believed that his name was in the mix to be the next Bachelor for months, with Olympian Ryan Lochte and last season's Bachelorette runner-up Arie Luyendyk Jr. It's the 17th season of the show, a quite remarkable success story. The current season is reportedly in production and will be good to go from January of next year.